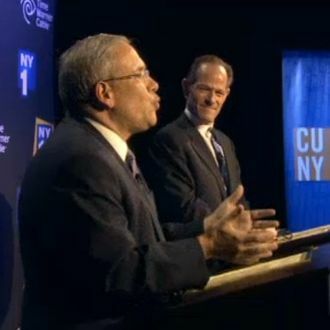 Fear not, New Yorkers: The ongoing broadcast fight between everyone’s least favorite cable company and CBS will cease temporarily for tomorrow’s comptroller debate between Scott Stringer and Eliot Spitzer, as well as all future debates, despite the blackout. (Fans of The Big Bang Theory will continue to suffer for now.) The number of people excited about this development totals in the low dozens, according to estimates.